Vacationers on the hunt for stunning scenery won’t have to look very far when they land in Beaufort, NC. Well known for its vibrant downtown region, its centuries-deep historical roots, and its location that is literally surrounded by water, finding a spot to sit and enjoy a picturesque view is a breeze in this barely-coastal destination. From sweeping waterfronts where vessels, charming shops, and outlying islands compete for a visitor’s attention, to rustic nature trails where the local birdwatching is at its best, finding a scenic spot in Beaufort is truly as easy as stepping outside your motel or vacation rental door, and enjoying the scene. For beautiful views that don’t require s lot of effort, head to Front Street. Front Street is considered Downtown Beaufort’s “main drag,” and it’s a road that extends for a little more than two miles along the borders of Taylor’s Creek in the heart of the area. Bordered by historic and charming shops and restaurants, as well as local boat docks and the waterfront, a stroll along this picturesque road presents ample opportunities to enjoy a vibrant array of views, which includes glimpses of historic structures, the outlying Rachel Carson Reserve, and dozens if not hundreds of different kinds of vessels docked just yards away. A sidewalk boarders the street side for pedestrians that are hopping from one store to the next, but sightseers will want to bypass the road, and head to the waterfront. A wide sidewalk / boardwalk runs parallel to Front Street for the majority of the road, and there are ample benches, tables, and pretty window boxes along the docks that make lingering and enjoying the view a breeze. For a long look at the waterfront, or a great people watching vantage point, head to the central park that is located close to The Boathouse. This small park that extends the size of a lot or two has plenty of shaded sitting areas, trash cans, and ample views of the pedestrian and maritime traffic in every direction. 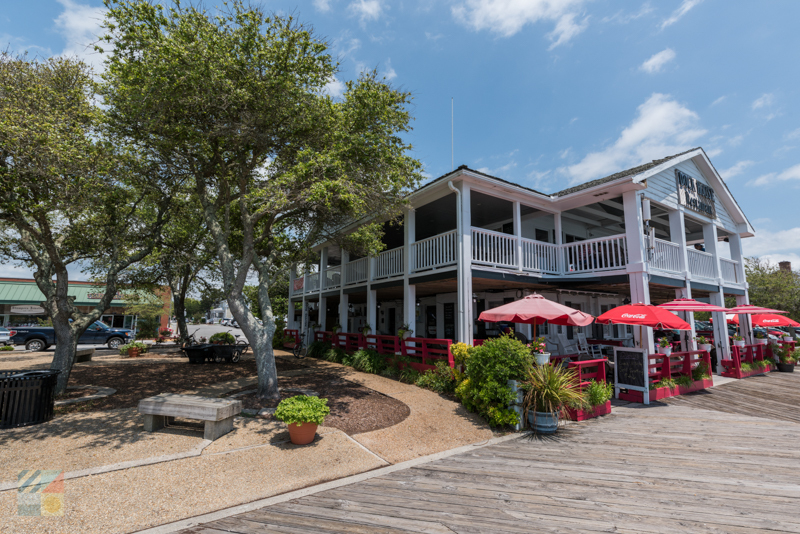 In addition to the street side and waterfront sidewalks, Front Street is also where visitors will find the majority of Beaufort’s waterfront restaurants, bars, and coffee houses, where it’s easy to enjoy a break or a meal with a decadent, miles-wide view. Vacationers who crave an evening out with the sunset in the background, or who want to satisfy a sweet tooth with a stellar outdoor background, will want to head to Front Street first for the best options. Finally, when it comes to accommodations with scenic views all day and evening long, Front Street, Ann Street, and the other regions of waterfront downtown Beaufort are the place to go. A number of vacation rentals, bed & breakfasts, and hotels / inns are found close to the water and / or have their own on-site docks and gazebos to enjoy the vistas. 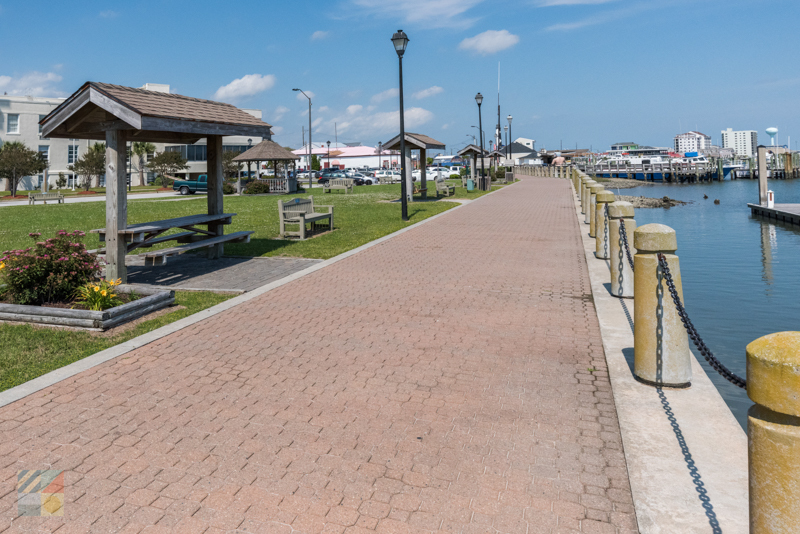 While additional options may be found just north of the downtown area, (as well as in neighboring locations like Harkers Island), the downtown area should be a first choice when it comes to accessible views that are available all day, and all night, long. Crystal Coast visitors who stay in Beaufort will be just a quick drive away from one of the most scenic routes in the country – the Outer Banks Scenic Byway. Recently established in 2009, this route which encompasses 138 driving miles as well as an additional 25 miles onboard the state’s ferries is one of just a handful of scenic byways in the state, and one of only 150 national byways in the country. The byway begins with the entrance to NC Highway 12, just south of Harkers Island. From here, visitors can take a scenic detour through the Harkers Island community, (which is part of the national byway), or can continue to head north through Cedar Island. This longer portion of the byway, which extends throughout the Down East community, cuts through the Cedar Island National Wildlife Refuge, crosses over several beautiful bridges that expand over sound-bordering channels and marshlands, and lands at the Cedar Island / Ocracoke Island ferry docks. 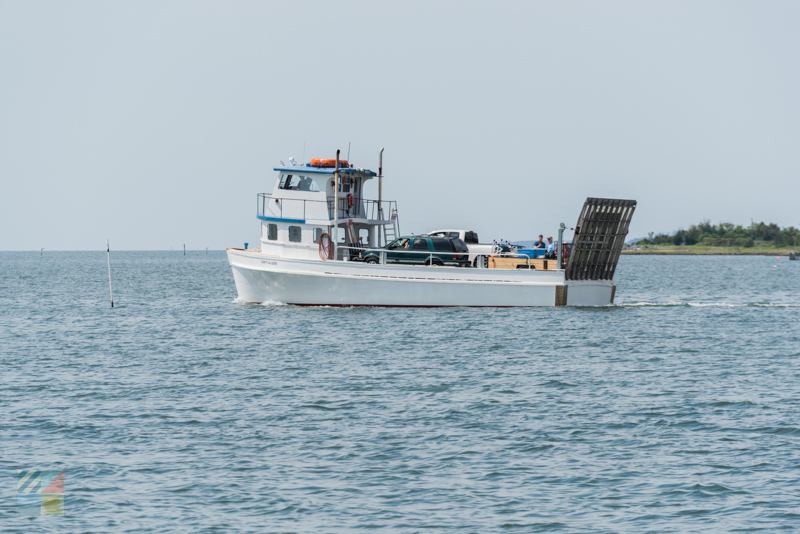 From here, visitors can continue north to Ocracoke Island, Hatteras Island, and finally Bodie Island before finally reaching the northern terminus of the byway, and connecting with US Highway 158 and 64/264. The entirety of the route boasts 21 culturally significant and picturesque coastal villages as well as a number of wildlife refuges or nature preserves, miles of Core and Pamlico Soundfront terrain, and plenty of wildlife watching opportunities. Though tackling the entire route will take a full day, (considering that roughly 3.5 hours of ferry travel time is involved), Beaufort visitors who just want to enjoy a quick excursion can head to Cedar Island and back - a trip that takes roughly 1.5-2 hours round trip, and which will present exceptional vistas that are brimming with wildlife and open sound waters. For more information on the Outer Banks National Scenic Byway, as well as the myriad of historic, cultural, and natural highlights along the way, visit the official website at http://outerbanksbyway.com/. 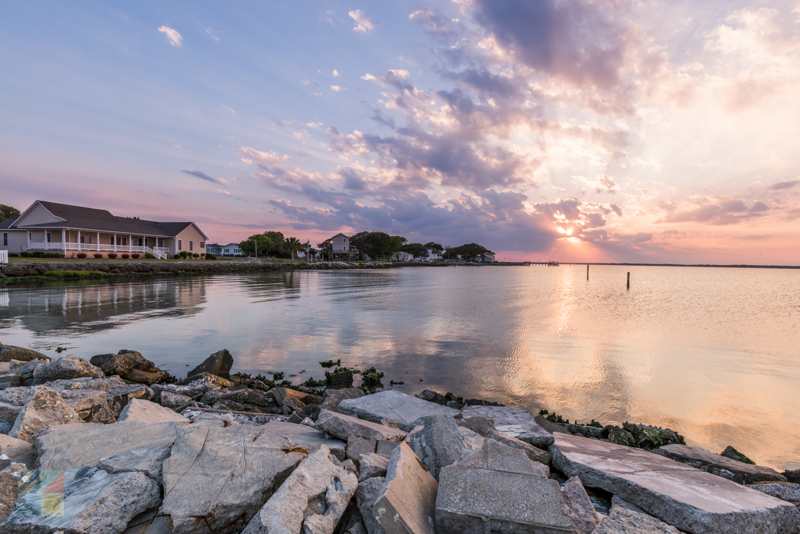 Visitors can explore a scenic portion of the Outer Banks Scenic Byway – or just a fun detour that will lead to a handful of charming gift shops and restaurants – by heading north, turning on Harkers Island Road, and thoroughly exploring the Harkers Island community. Located directly east from Beaufort, this small island is a paradise for fishermen and mariners who appreciate a quieter, genuine coastal community that’s mainly populated by generations of residents, and which has few signs of commercialism or heavy development. Virtually every soundside home, beach, or vantage point has a view of the Cape Lookout Lighthouse in this coastal town, and visitors will find numerous side streets and destinations that lead out to open water views of the Core Sound. For a real treat, follow Harkers Island road to the very end, and embark on a passenger ferry ride across the Core Sound to the Cape Lookout Lighthouse and the Cape Lookout National Seashore. On this 56-mile long stretch of barrier island shoreline that includes at least three distinct islands, visitors will find miles of beaches, sand dunes, and soundside maritime forest, and not much else – which makes the National Seashore one of the prettiest and pristine beaches along the coastline. 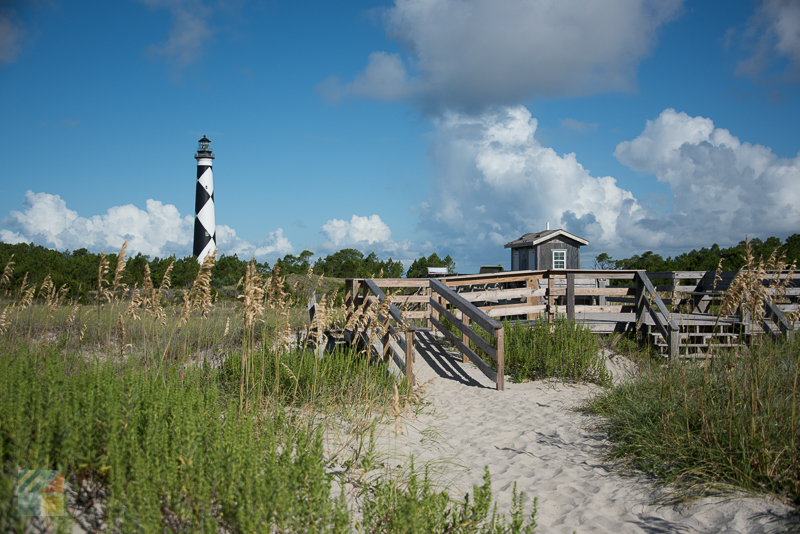 Advanced reservations may be required to make the quick 20-30 minute to the National Seashore in the peak summer months, and if nothing else, visitors can always enjoy a stunning albeit slightly distant view of the Cape Lookout Lighthouse from the ferry docks, which are located on the easternmost tip of the island. Vechicle ferries are also available to transport 4x4 vechicles to remote beaches for excellent camping, fishing and shelling opportunities. There’s arguably no better way to take in panoramic scenery than to stick close to home and take in the sights of Downtown Beaufort. One of the biggest draws of this small town as a destination is its inherent charm and atmosphere, and Beaufort vacationers can easily enjoy some of the most scenic regions in the Crystal Coast by simply stepping outside. Start your stroll along Front Street, and then extend an exploration by heading down Ann and Broad Streets, which are both stocked with historic homes, B&Bs, and other historical structures. Regardless of where you go, the Downtown area has maritime-themed and historical scenery in every direction. 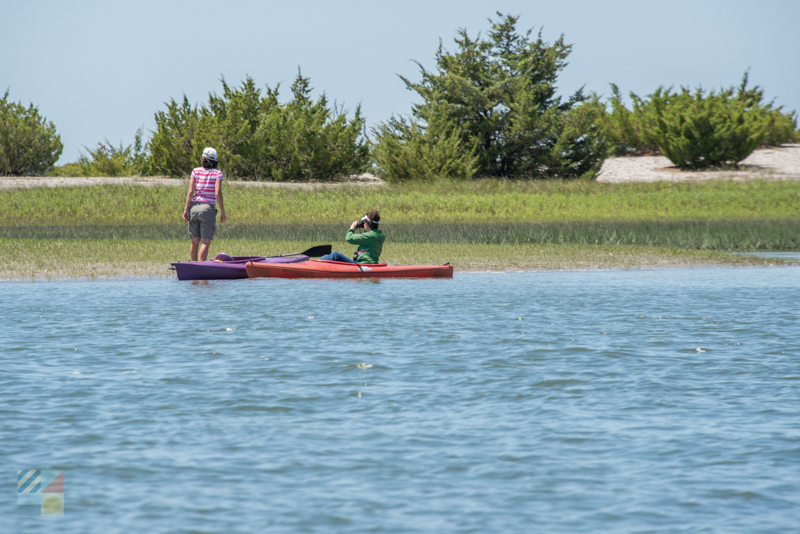 A nature hike is just a quick paddle or water taxi ride away from the heart of Downtown Beaufort, thanks to the 2,315 acre Rachel Carson Coastal Estuarine Reserve. 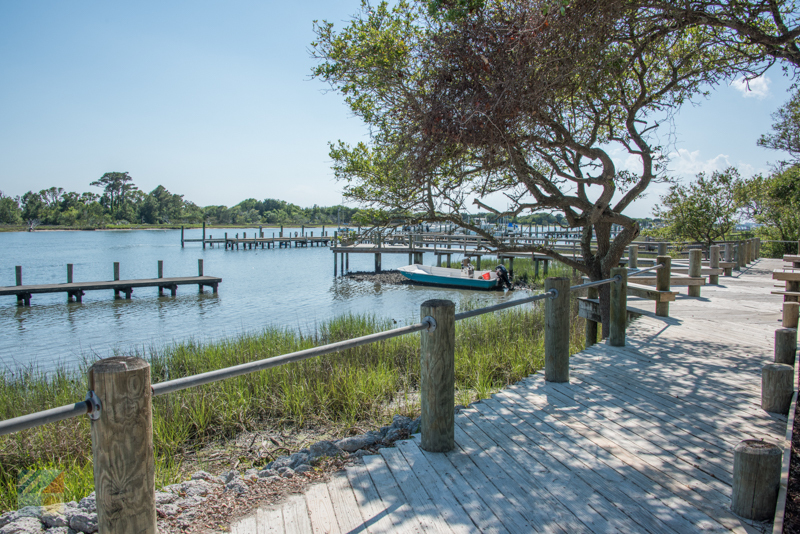 Located directly across Taylor’s Creek, this natural reserve has two walking trails that cut through a complex if barely offshore islands, and which showcase a variety of different habitats. By taking a roughly 1-mile long stroll, hikers can explore a wide variety of different terrain including tidal flats, salt marshes, sand dunes, shrub thickets, and maritime forest, and enjoy stunning natural scenery where hundreds of unique species thrive. Reaching the islands takes a little planning and a trip across the water, but once a visitor has landed, they’ll find exceptionally pristine and unspoiled scenery in every direction. Beaufort isn’t the only charming small town in the Crystal Coast region, and visitors will find another cool and coastal downtown area just a few miles away in the neighboring community of Morehead City. Like Beaufort, Morehead City’s downtown region hugs the waterfront and features a collection of popular local restaurants and pubs, small shops, and waterfront businesses of all varieties, which includes ferry services, charter fishing, and even scuba diving. Unlike Beaufort, however, Morehead Coty has more of a commercial fishing backbone, which adds an extra layer of authenticity to the scene. To see and experience it all, follow Evans and Shepard Street along the waterfront, and pause to enjoy the vista of Sugarloaf Island and the Harbor Channel at the centrally located Jaycee Park. This small park that’s perched on the waterfront has ample benches, unique artworks and statues, and a prime setting that’s in the heart of the scene. The Cedar Island National Wildlife Refuge is easily one of the most rugged and largest scenic destinations close to Beaufort, thanks to more than 11,000 acres of marshlands and more than 3,400 acres of dense and undeveloped woods. Noted as a prime destination on the NC Birding Trail, visitors will find several parking areas for birdwatching on the edge of the NC Highway 12 bridges that extend over salty channel of waters, as well as several hiking trails that are found close to the refuge office on Lola Road. With miles of room to roam and multiple birdwatching or wildlife watching opportunities, the Cedar Island National Wildlife Refuge will be a great destination for nature enthusiasts who appreciate miles of undeveloped terrain. The Hoop Pole Creek Nature Trail is one of the shorter nature trails close to Beaufort, and is a small route that extends for a 1/2 mile and which cuts through a 31 acre parcel of undeveloped land in a surprisingly busy section of Atlantic Beach. Located just a 15-20 minute drive away from most Beaufort vacationers, this nature trail may be short, but it serves as a fine destination to experience a variety of varying coastal habitats, and is also a noted NC Birding Trail designee. With well-tended terrain that includes boardwalks over soggier marshy areas, and an ending point on the edge of the Bogue Sound where expansive community-wide views can be enjoyed, Hoop Pole Creek Nature Trail is a truly scenic representation of the natural beauty of the Crystal Coast. Take a trip to the small beach town of Pine Knoll Shores to discover a large and undeveloped scenic slice of the barrier island shoreline where the wildlife thrives. 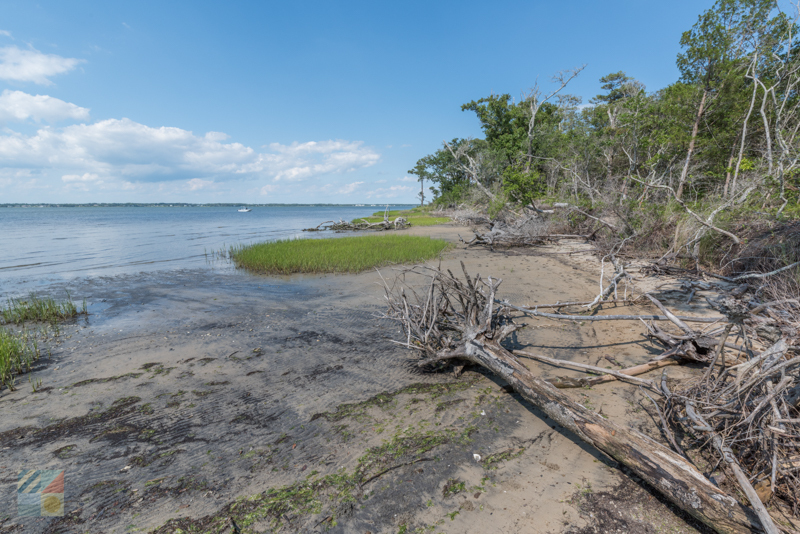 The Theodore Roosevelt Natural Area is a 265 acre parcel of land that has a wide variety of distinctive coastal habitats including maritime forests, shrub thickets, salt marshes, and wide open waters, thanks to a locale on the edge of the Bogue Sound. 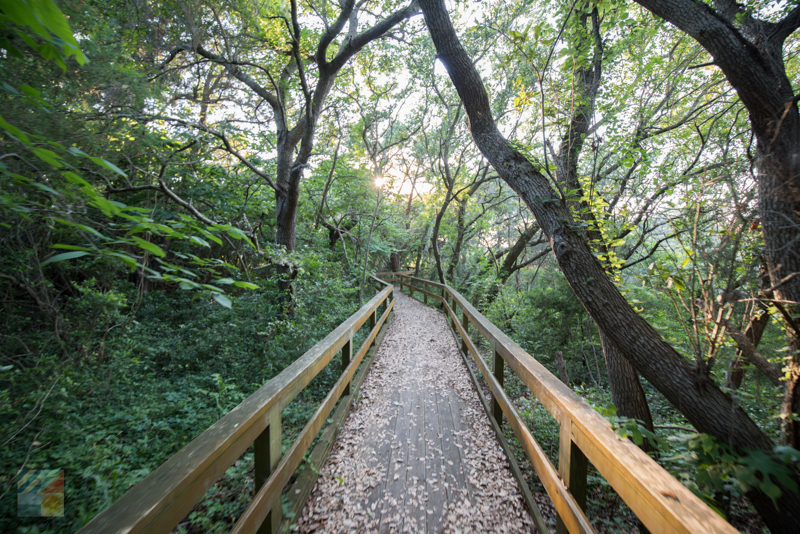 With two well-tended nature trails - the Roosevelt Nature Trail and the Alice Hoffman Nature Trail - nature enthusiasts, birdwatchers, and any visitor who appreciates a break from the hustle and bustle can enjoy panoramic and pristine scenery in all directions. The Theodore Roosevelt Natural Area is located roughly a 20-30 minute drive away from Beaufort, and is next to the North Carolina Aquarium at Pine Knoll Shores, which also makes it a tempting destination for a fun and active day trip. Whether you’re on the hunt for incredible aerial photos, or just a pretty open water sunset, there are plenty of destinations in and around Beaufort that serve as some of the most scenic spots in the region. 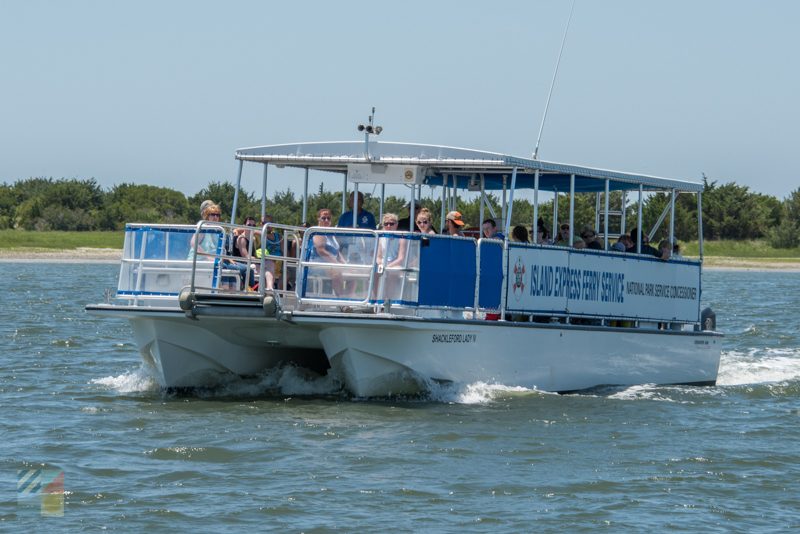 One of the best ways to enjoy brilliant views of the region is to climb about one of the dozens of water taxis, cruises, and tours that are congregated along the downtown waterfront in the heart of Beaufort. These vessels which take passengers out on a myriad of expeditions on a regular basis cruise through Taylor’s Creek, the Back Sound, the Rachel Carson Coastal Estuarine Reserve, the Shackleford Banks, and a number of other open water destinations where the views are truly spectacular and all-encompassing. Best of all, upon your arrival and departure from the Beaufort docks, you’ll readily enjoy some of the most stunning vistas of the downtown region from an on-the-water perspective. 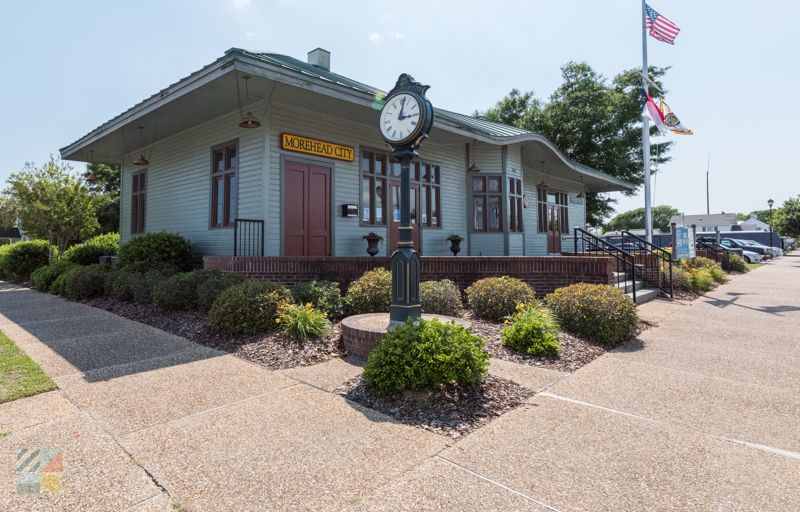 While there are plenty of benches along Front Street where visitors can relax and take in the view, (as well as a small lot-sized park), one of the prettiest public parks is located just one town over in the community of Morehead City. Jaycee Park is a small plot of land that’s perched on the waterfront, and which features a collection of benches and seating areas, a handful of statues and historical landmarks, and incredible vistas of the adjacent waters as well as Sugarloaf Island. Try to swing by around sunset, when the landscape is at its vibrant and colorful best, and vessels of all varieties return home to the adjacent docks and marinas. Visitors don’t have to travel to one of the Crystal Coast’s barrier islands to enjoy a pretty sandy beach setting and a killer view. 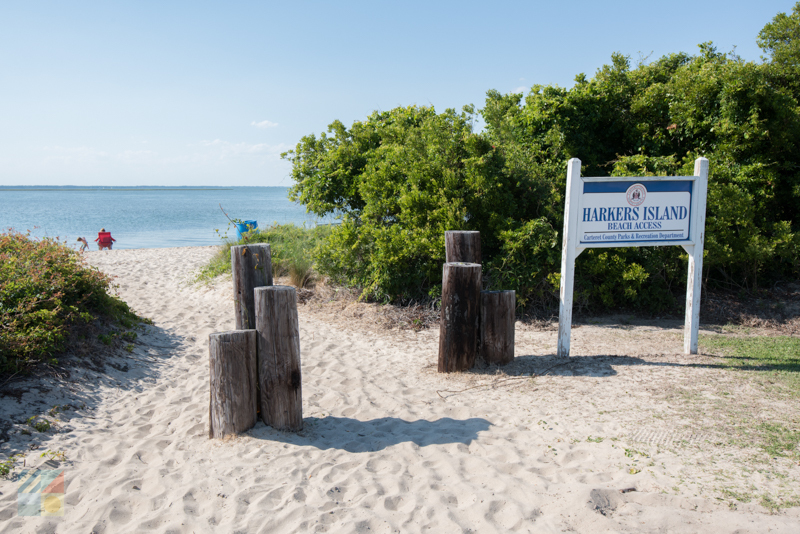 Instead, they can head to the town of Harkers Island, (roughly a 15-20 minute drive east from Beaufort), to find a spot on the small and locally beloved Harkers Island Beach. Situated on the edge of Harkers Island Road, this small parcel of sand overlooks the North River and the distant Back Sound, and also presents far-off views of the Rachel Carson Reserve and other marshy, undeveloped islands. As a result, it’s a fine spot to enjoy birdwatching, fishing, or splashing around – all while enjoying a backdrop that encompasses miles of open water. Though a 45 minute ferry or tour that departs from Front Street is required before reaching this distant destination, the ensuing views are well worth the trek. 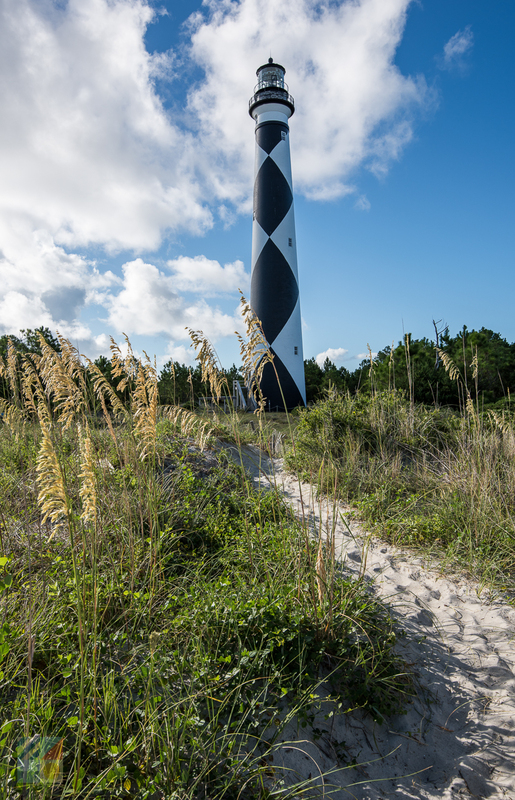 Located on the 56-mile long Cape Lookout National Seashore, the Cape Lookout Lighthouse stands 163’ ft. into the air, and seasonal visitors can climb the 208 steps to the top for a small fee, and enjoy some of the best aerial vistas in the Down East region. With a bird’s eye perspective of the Atlantic Ocean, the Core Sound, and the entirety of the South Core Banks, this towering scenic spot has miles of vistas that are nothing short of unforgettable. Visitors who want to discover the beauty of the Cedar Island National Wildlife Refuge without a long paddle, boat trip, or hike, can simply park and enjoy the scene at the Thorofare Bridge. Located along NC Highway 12, roughly 20 minutes north of Beaufort, this high bridge extends over a collection of marshes and open water channels that connect with the Core Sound, and as a result, is a popular destination for birdwatchers, fishermen, and anyone who wants to catch a pretty sunrise or sunset view. Ample parking is available, and the Highway-adjacent destination is also a popular spot for kayakers and other paddlers in the mood for a natural expedition. The wildlife in the Beaufort area is stunning, but be sure and use cation when exploring – especially in isolated areas like the Rachel Carson Coastal Estuarine Reserve or the Cedar Island National Wildlife Refuge. Sturdy shoes, bug spray, and long pants are all recommended to keep the mosquitos at bay, and to safely navigate through sometimes swampy or shell-bottom terrain. Make dinner reservations at a waterfront restaurant to truly enjoy the local scenery in style. Roughly a half dozen restaurants or coffee houses call Front Street home, which gives diners of all tastes plenty of options. Tours and cruises can book up well in advance in the summer season, so make reservations well before your vacation whenever possible – especially if you want to embark on a special or limited availability tour, like a wild horse tour or a dolphin watching cruise. Want a better understanding of the historical homes and residences that are dotted throughout Beaufort? Then treat yourself to a walking tour offered by the Beaufort Historic Site, or a handful of privately owned companies. These tours will take you “behind the scenes” of the pretty residences, and will provide a vast education on Beaufort’s long history. Considering that Beaufort is a town that’s perched on the edge of the water, visitors shouldn’t be too surprised to discover that scenic spots are located everywhere in the charming small town community. From the gorgeous vistas of Front Street to the outlying barrier islands, every adventure can be a beautiful one when visitors start their expeditions in Beaufort.